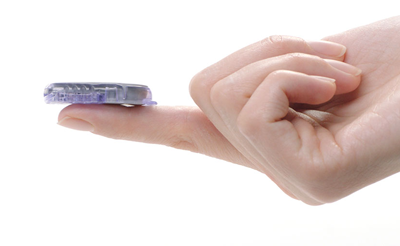 The new Dexcom G6® CGM is here. Make knowledge your superpower. 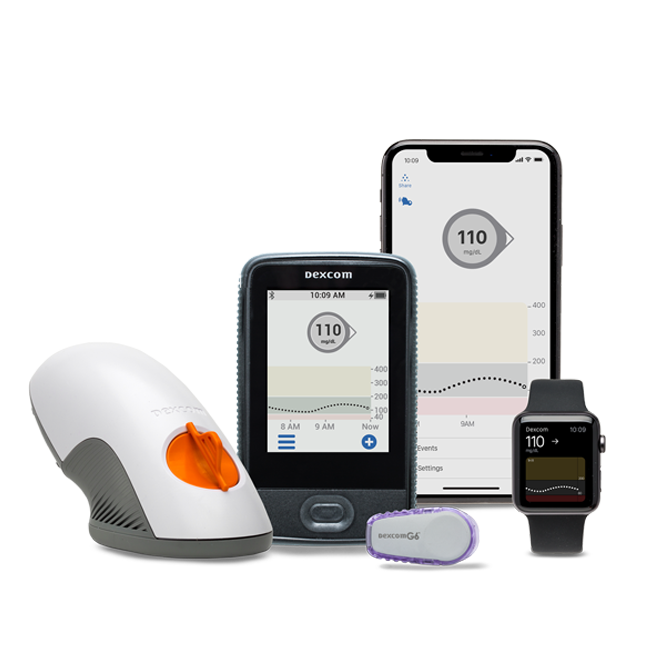 Always know your glucose number and where it's headed with zero fingersticks and no calibration* — with the new Dexcom G6. 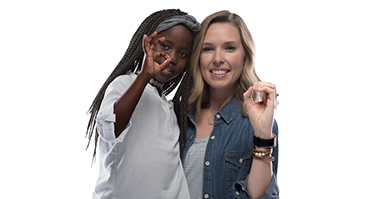 Feel the difference of a thin, discreet and water resistant sensor.‡ The Dexcom G6 now features an extended 10-day wear sensor offering you more convenience and fewer interruptions to daily activities. Always know your number with just a quick glance at your smart device.† Trend lines show you where your glucose levels are heading and how fast they're getting there, so you can take action. An easy-to-use sensor applicator with one button insertion||. The slim, water resistant sensor‡ is discreet and easy to insert. Simple auto-applicator - a one-touch applicator|| easily inserts a small sensor just beneath the skin. Sensor and transmitter - a slim sensor continuously measures glucose levels just beneath the skin and sends data wirelessly to a display device through a transmitter. Display device - a small touch screen receiver or compatible smart device† displays real-time glucose data. 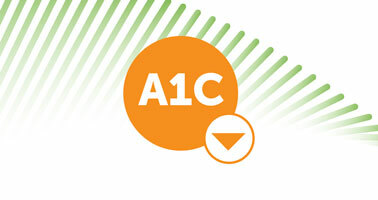 Dexcom is committed to helping patients have a positive CGM experience and better diabetes management. 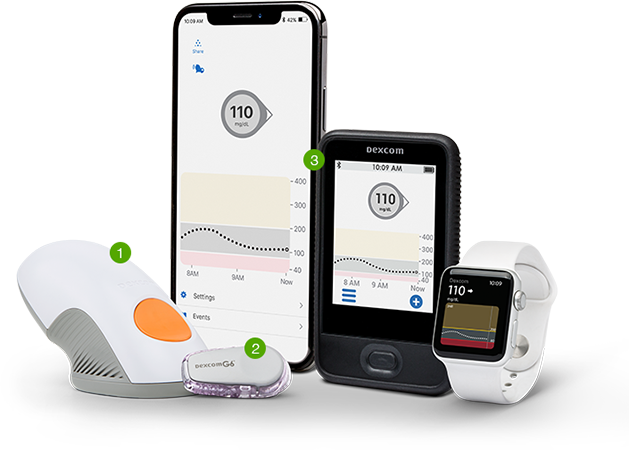 From help getting started, to tutorials and FAQ, Dexcom can provide support and guidance for a better experience with continuous glucose monitoring (CGM). Are you new to the Dexcom G6 CGM System? Or CGM in general? Our Dexcom CARE team can help you get started. Our technical support team is available 24 hours a day; 7 days a week to help you with any technical issues that may arise. 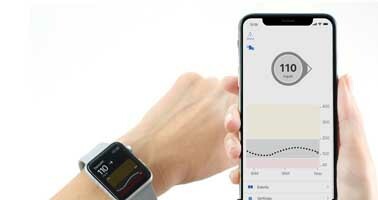 Track your glucose data over time - no matter where you are with Dexcom CLARITY®, a unique cloud-based reporting system. See your trends and patterns. Share your data with your doctor. The Dexcom G6 is covered by most insurance plans. and we'll contact you to begin your order. *If your glucose alerts and readings from the G6 do not match symptoms or expectations or you’re taking over the recommended maximum dosage amount of 1000mg of acetaminophen every 6 hours, use a blood glucose meter to make diabetes treatment decisions. ‡The Dexcom G6 Sensor and Transmitter are water-resistant and may be submerged under eight feet of water for up to 24 hours without failure when properly installed. ** G6 readings can be used to make diabetes treatment decisions when taking up to a maximum acetaminophen dose of 1,000mg every 6 hours. Taking a higher dose may affect the G6 readings. †† Separate Follow App required.